It’s official: The most common causes of car accidents are not wet weather, poor roads or vehicles that malfunction. The vast majority of crashes stem from driver errors. And recognition errors, such as becoming distracted by stimuli in and outside the vehicle. That final category is by far the most serious, leading to 41 percent of all distraction-related accidents – or an estimated total of 845,000 crashes. 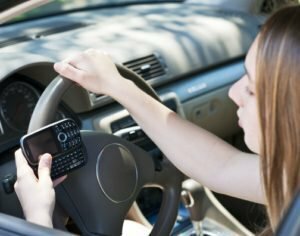 If you were involved in a crash with a distracted driver in Kentucky, contact the Troutman Law Office. Matt Troutman is an accident attorney in Louisville who has successfully handled claims involving auto accidents, defective products, wrongful death, and other types of injury. If your case goes to trial, personal-injury lawyer Matt Troutman has the litigation experience and resources to represent your interests in court. Call to schedule a free case evaluation. 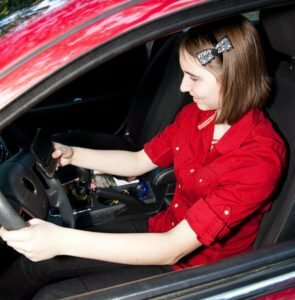 You can also visit USAttorneys.com to learn more about car accident injury lawsuits. Distracted driving is more common – and deadlier – than many people realize. Data collected by the Centers for Disease Control and Prevention shows that 424,000 people were injured in accidents involving a distracted driver in 2013 – and 3,154 passengers lost their lives. Driver distractions take one of three forms: visual, manual or cognitive. These range from simply taking your eyes off the road and removing your hands from the wheel, to becoming lost in thought and ignoring potential hazards on the road. And adjusting the settings of an in-car entertainment system. It’s common knowledge that texting or browsing social media behind the wheel is dangerous. However, even if you are responsible and avoid common distractions, you cannot expect other drivers to do the same. And not using turn signals. Were you injured in a car crash that was caused by a distracted driver? Contact an experienced accident attorney from the Troutman Law Office. You may be entitled to compensation for medical expenses, lost income and non-economic damages. Matt Troutman is a Louisville personal-injury lawyer who will help you pursue the maximum settlement. Call to schedule a free case evaluation.